Today's Daily Recap looks at three legendary coaches coming to the end of their coaching careers - at least with their current teams and a pair of North Carolina players that are reshaping the record books. Landon (Md.) head coach Rob Bordley will patrol the sideline for the final time when he leads his team against Bullis (Md.) in the IAC championship game at 5 p.m. (EST) tonight. The Bears’ head coach enters the game with 655 career victories. Bordley has won 28 IAC playoff titles and 13 regular season championships. I had the chance to speak with Bordley before the 2017 season. Because he has such an impressive resume, we talk about more than just how the team will fare that season (they were pretty good), but we dive deeper into what has helped him be so successful. What tidbit of information does have to pass along? What’s the best piece of advice he’s ever received? 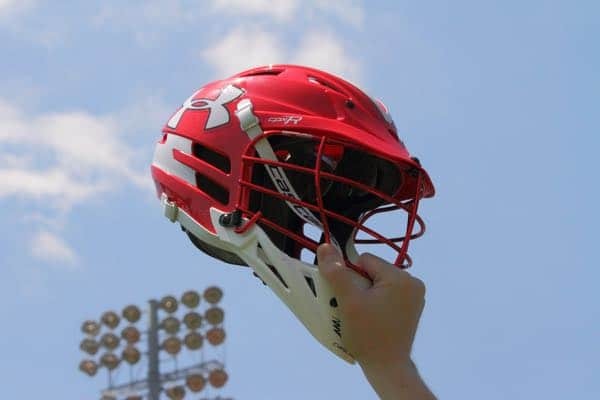 We talk about the rivalry with Georgetown Prep and so much more. Owen Caputo from Middle Creek (N.C.). Owen Caputo from Middle Creek (N.C.) became North Carolina’s all-time leading scorer with 17 points in his last two games. 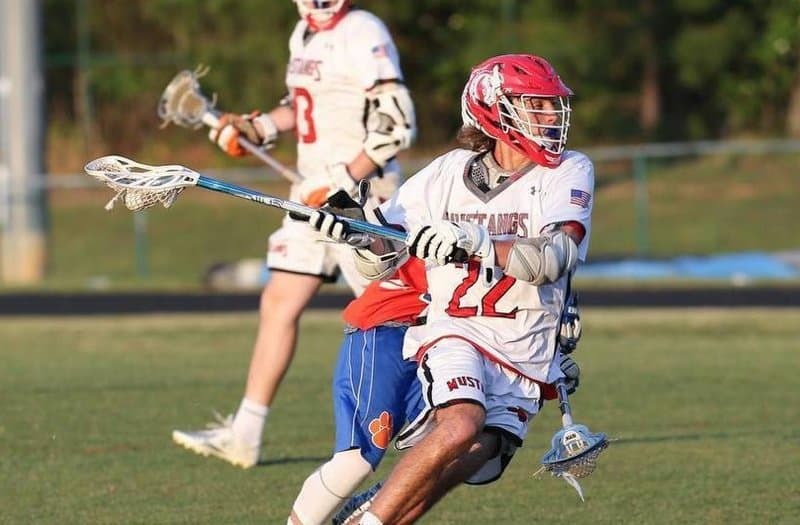 The Duke commit took over the scoring title with a nine-point game against Athens Drive (N.C.) on May 4, then added to the lead with eight points against Green Hope (N.C.) on May 8. The senior now has 488 career points, breaking Tucker Hull’s previous record of 472. Sean Goldsmith joined his brother Jay as a member of the 400-point club. Hull could fall to 3rd on the all-time list if Sean Goldsmith from Northwest Guilford (N.C.) adds 11 more points to his career. The Vikings play R.J. Reynolds (N.C.) in the playoffs today, so whether Goldsmith breaks the record or not will depend on how far the team advances in the playoffs. Goldsmith is averaging seven points per game this season. 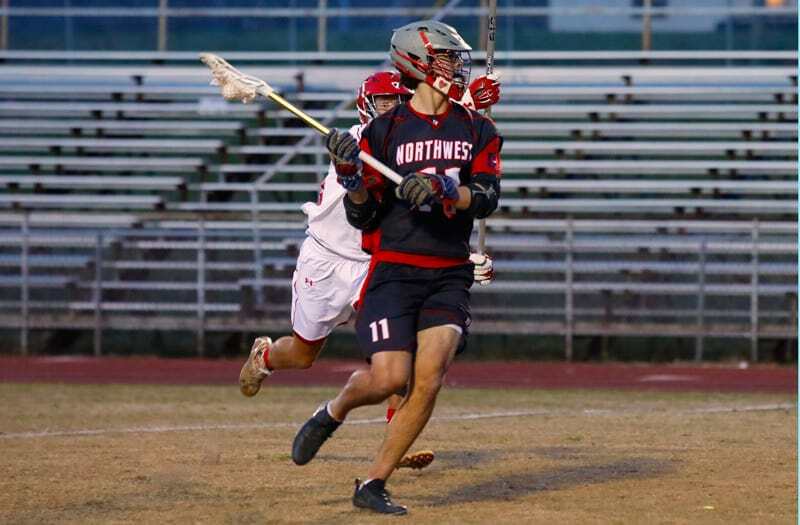 When Northwest Guilford and Reynolds met on March 7, Goldsmith scored seven points. There have been a number of legendary coaches that announced their retirements following the season. Add Carthage (N.Y.) head coach Kirk Ventiquattro to the list of coaches that won’t be with the school next season. Ventiquattro entered the year with 447 career wins. The Comets are 9–5 this season. 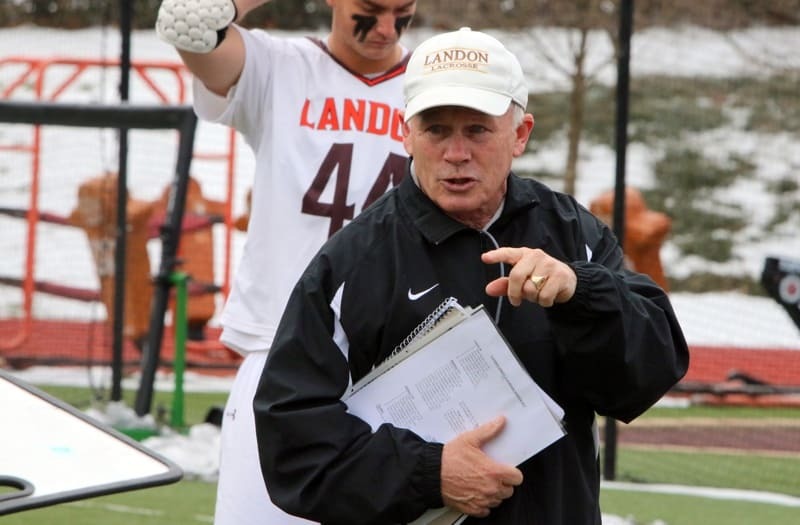 Ventiquattro has coached more players in the 400 Club than any another coach spoke with LaxRecords in April 2017 about coaching The Powell’s. Mike Messere is the all-time wins leader in high school lacrosse. 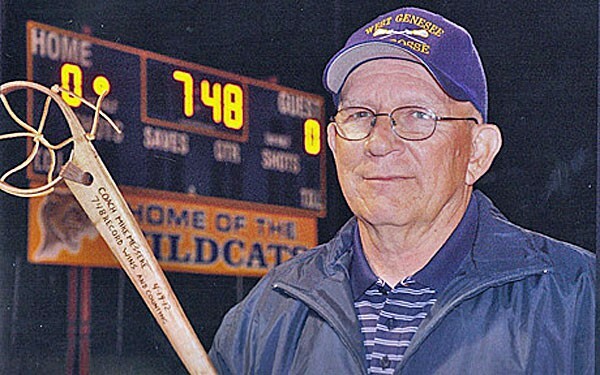 West Genesee (N.Y.) head coach Mike Messere announced his retirement before the start of the season and Syracuse.com has an Exit Interview with the nation’s all-time wins leader. He has the most state championships of any coach in history with 15 and if that’s not enough, Messere also led the Wildcats to a 91-game win streak that started in 1981 and ended in 1984. That streak is tied for most all-time and is sure to stand a lot longer. To put it into a little perspective, the closest any team has come to that since 1984 was when Bedford out of New Hampshire won 72 straight from 2012 to 2015. I had the chance to speak with Messere in March of 2017 about his coaching career.